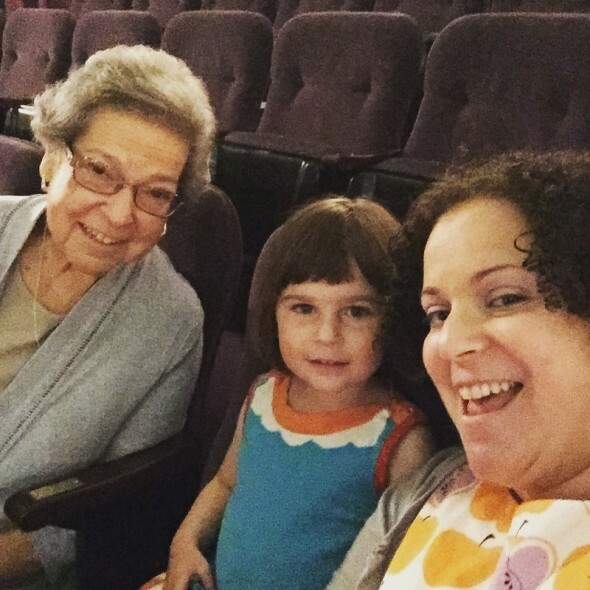 As a Mother’s Day present to my mom, I bought tickets for H, my mom, and I to go see Sleeping Beauty with the New Jersey Ballet. They were doing matinee performances at Mayo Performing Arts Center this past weekend, and it seemed like a great chance for a first ballet for H.
My mom took us to cultural events all the time growing up. 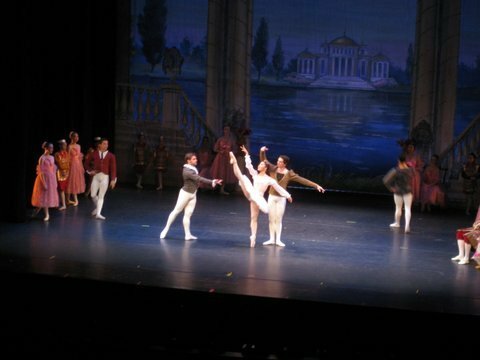 We saw lots of kids’ performances at Lincoln Center, we went to museums frequently. H loves to dance, she even started “pre-ballet” classes last month. So this was a tradition I was anxious to pass on to her, and I wanted my mom there to enjoy it, too. We had lunch at George and Martha’s beforehand. It was nice, but H didn’t really love her brunch. That’s okay, she is 3. Next time we will stick to a diner. The performance was lovely, but we only stayed until intermission. We had second row balcony seats, which I picked so H would be close to the railing and could stand to watch the show and twirl. And, oh my goodness, she was splendid! We probably bothered some of the fancier families sitting around us, but she was just loving the experience too much for me to feel self conscious. She clapped and tried to mimic the ballet moves of the dancers. She used the railing like a ballet bar and tried to lift her leg just like the dancers. At one point it got very quiet, and she leaned over the railing and yelled, “HI!” at the dancers. She waved furiously at them. She really, really loved it. And my mom and I loved watching her. 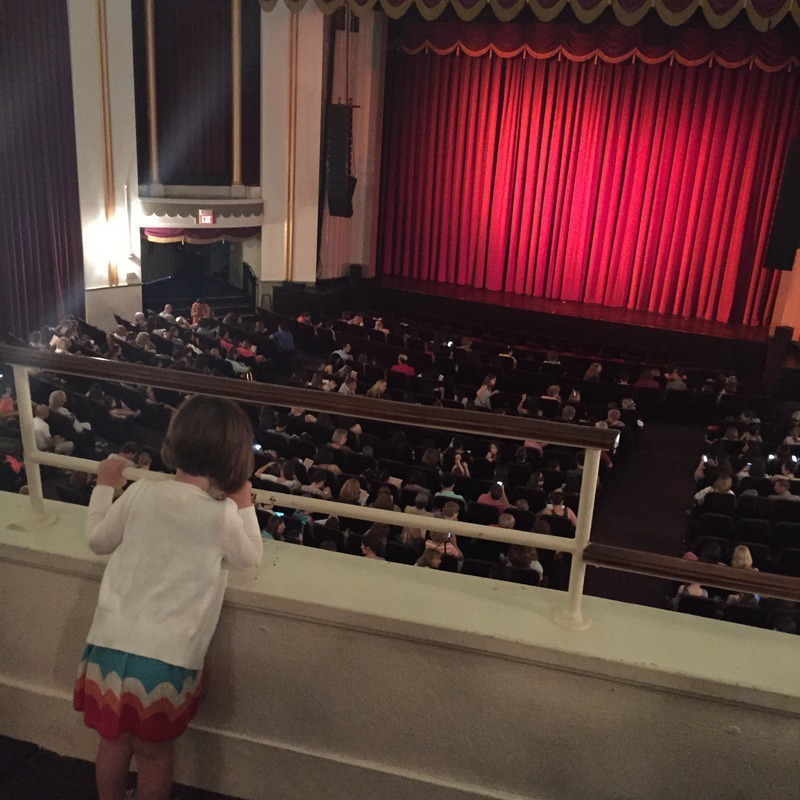 I don’t think she’s ready to sit through an entire big show, but this was just the right theatre and just the right size for her toddler self to see dance in action. So worth it, it was a gift for me as much as my mom. A priceless and perfect and soooo memorable day…. !